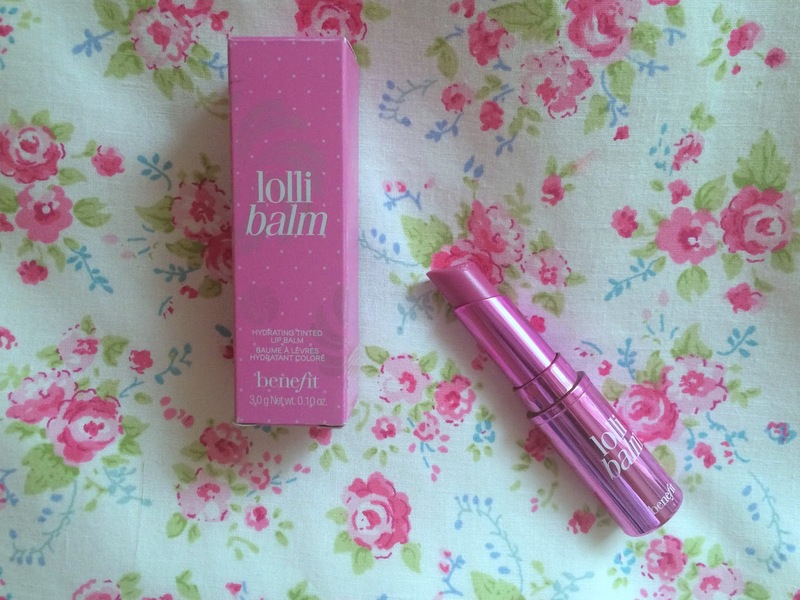 I received these Hydrating Lip Balms* from Benefit back in July when I won a competition they were running through Pinterest and I can't believe its taken me this long to feature them on my blog. As someone who isn't into wearing bold colours on my lips (I tend to stick to nudes/pinky-peach tones) these are perfect for me as they leave a light, hint of colour. However, if do want more of an impact, you can wear them over their matching lip/cheek tints. Each balm is infused with mango butter and Sodium Hyaluronate making them super smoothing and hyrdrating on your lips ideal for the cold, winter months and also making the application effortless. 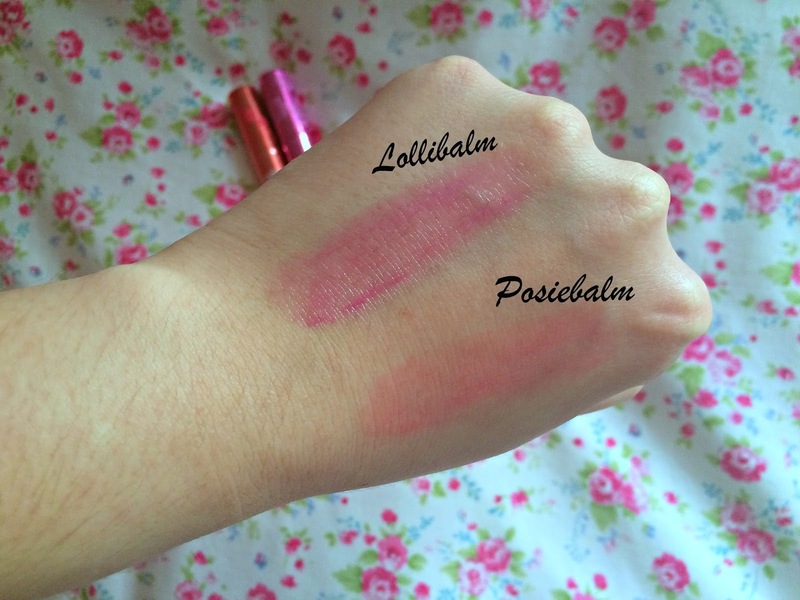 Posiebalm is a 'poppy-pink tinted kiss of sheer, buildable colour' which can be worn alone or on top of Posietint. Lollibalm is a 'candy-orchid tinted kiss of sheer, buildable colour' which can be worn alone or on top of Lollitint. 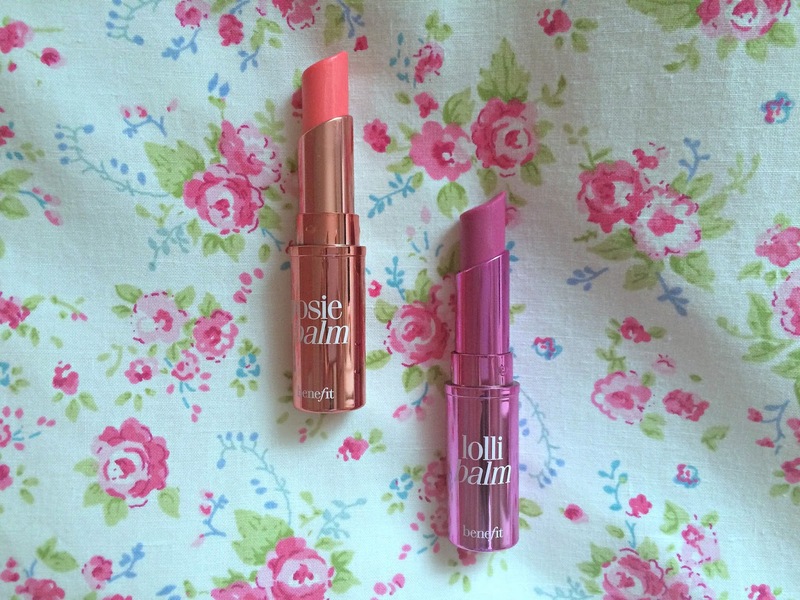 Other colours available in the collection are Benebalm which is 'rose-tinted' and Chachabalm which is 'mango-tinted'. And finally, we have to mention the packaging! 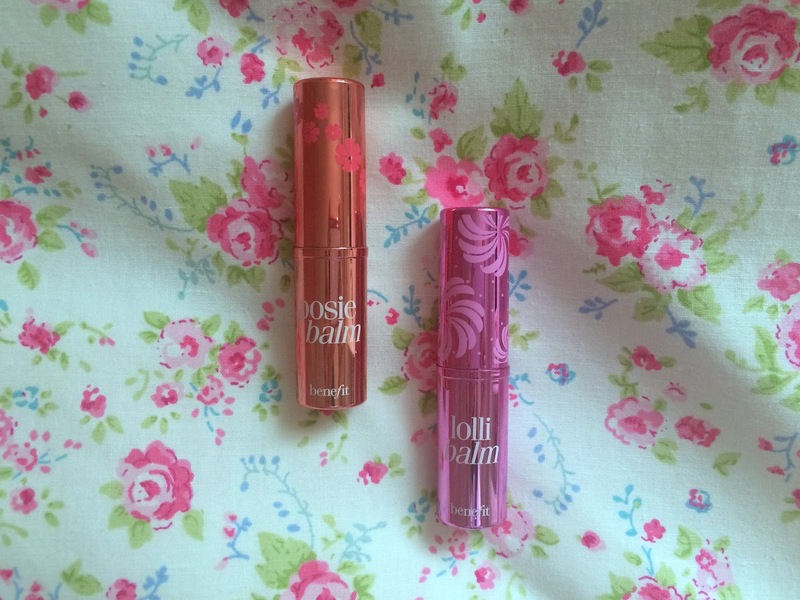 Each lip balm is packaged in a beautiful mirrored tube which is the perfect size for popping in your handbag. Each balm costs £14.50 and can be found at all Benefit stockists. -May not be pigmented enough for some peoples preference. 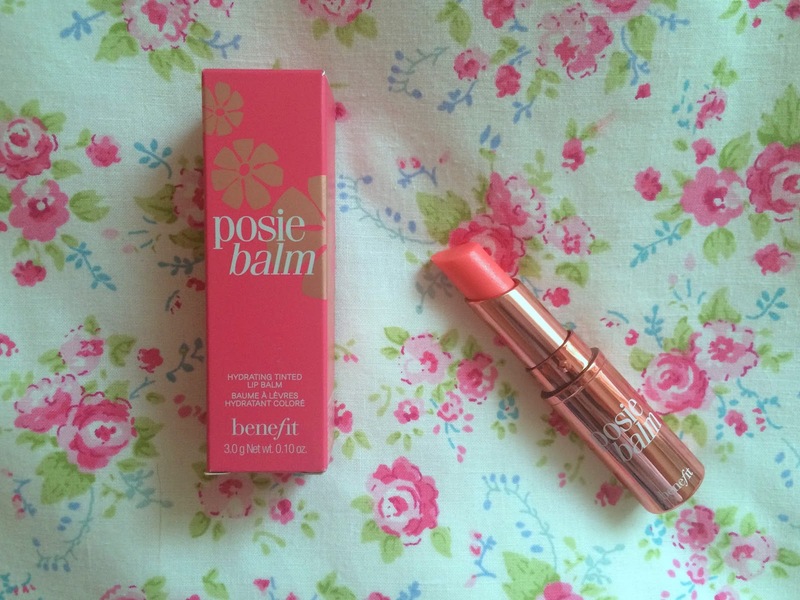 Posie Balm looks so pretty! I love those coral shades and sometimes I'm too lazy to reapply lipstick so this would be perfect for me :) especially in Spring/Summer! !